The Trump administration has adopted an aggressive approach towards Iran. It seeks to establish a unified front of Arab Sunni states against Iranian ambitions and actions in the region. This united front shall confront Iranian’s meddling in the Gulf, Syria, Iraq and Yemen. Egypt’s gradual shift toward Iran is likely to hinder this American-led alliance. 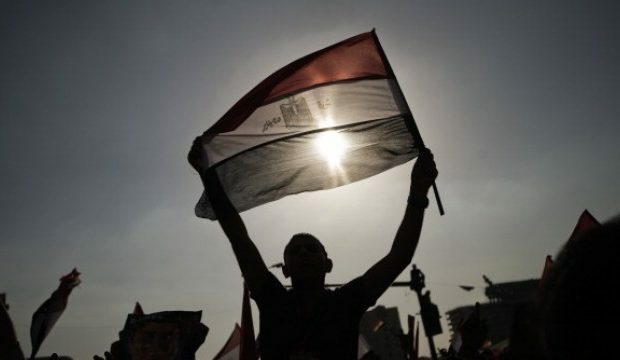 The primary drivers for the reversal of the Egyptian foreign policy are Egypt’s fear of Sunni Islamism, Egypt’s desire to re-position itself as the regional power, and its deep financial crisis. These three reasons drive Egypt to accommodate Iranian meddling and influence in the region, with the notable exception of the Gulf States. First, in the 1950s and 1960s, former Egyptian president Gamal Abdel Nasser and Iranian Shah Mohammad Reza Pahlavi fiercely opposed one another because of different visions for the region. Nasser viewed Egypt as the leader of the anti-American revolutionary camp in the Arab world; whereas, the Iranian Shah positioned himself as part of the pro-American camp and even, to Nasser’s disdain, sold oil to Israel. Second, Egyptian-Iranian relations improved significantly after former Egyptian President Anwar Sadat broke relations with the Soviet Union and turned toward the American camp in the region. In the testimonial to close ties, Egypt agreed to host the Iranian Shah after the Islamic Revolution of 1979. 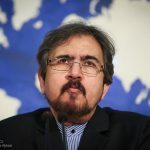 Third, relations deteriorated significantly following the outbreak of the Islamic Revolution in 1979. Egypt’s friendly ties with Israel, pro-American stances in the region, support for Iraq during its war with Iran, naming a street after one of Sadat’s killers in Tehran, close relations with the Gulf States have led to significant tension in the Iranian-Egyptian relations. Different attempts to reproach relations have happened several times to no avail. Egypt and Iran still do not exchange ambassadors. A rapprochement between Egypt and Iran has been attempted after Mubarak’s resignation in 2011. Seven days after Mubarak’s resignation, the Supreme Council of the Armed Forces allowed Iranian naval frigates to sail through the Suez Canal for the first time in thirty years. The Muslim Brotherhood also attempted to bridge differences with Iran. However, these efforts were short-lived. Egypt did not resume full diplomatic relations. Nevertheless, President Sisi’s rise to power viewing Sunni Islamism as the main threat in the region. The Egyptian government views Sunni Islamism as the primary driver of destabilization in the Middle East. This fear leads policymakers in Cairo to align themselves with other actors whom Cairo believes are fighting Sunni Islamists forces in the region, such as Russia and Iran. Cairo also envisions the support of the existing institutions and states’ structures as the best option to stabilize the region, as opposed to Islamists who attempts to transform states’ structures and institutions to establish theocracies. Egyptian policymakers feel besieged by the forces of Sunni Islamists in Syria, Libya, Yemen, Sudan, Gaza Strip and Turkey. These fears were further compounded by Egypt’s experience with the Muslim Brotherhood from 2011 to 2013. This led Egypt openly side with Assad of Syria to prevent any Sunni Islamist force from taking over in a case of his departure. Egypt sees Iranians and Russians fighting in Syria as the first line of defense against radical Islamists whom Cairo is fighting in northeast Sinai. Furthermore, the Egyptian regime refused to provide ground troops for the fight in Yemen primarily for fear of the rise of any Muslim Brotherhood offshoots in Yemen if Saudi Arabia’s coalition was to defeat Houthis and their ally Saleh. These Fears of Sunni Islamists compounded with what Egyptians regard as their country’s rightful place at the helm of the Arab world, leading to tensions with Saudi Arabia and further converging of interests with Iran. Egyptian policymakers envision an independent path for their country where they would lead, and other Arab countries would follow. Therefore, President Abdel Fattah al-Sisi moved to recuperate what he believes as Egypt’s rightful status within the region following the assumption of power in June 2014. He invited the Iranian President Hassan Rouhani to his inauguration. One of his notable initiatives was a resolution to establish a joint Arab force but failed due to objections from several countries, primarily Saudi Arabia. Then, Saudi Arabia created its Islamic coalition and invited Egypt to join. Egypt reluctantly joined, but it has been a reluctant participant refusing to commit ground troops to Yemen’s fight. Additionally, Egypt’s support of Russia’s intervention in Syria led to a strained relation between Egypt and Saudi Arabia. Plus, Egypt’s constant criticism of human rights violations committed by Sunni groups while ignoring violations committed by pro-Iranian and Hezbollah militias. Ultimately, leading Saudi Arabia to indefinitely cut oil shipments to Egypt after the latter’s vote for a Russian resolution in the UN Security Council in October 2016. 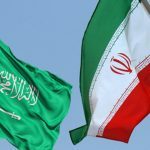 The essence of the Saudi-Egyptian dispute over Egypt’s tolerance of Iranian influence in Syria and Yemen stems from each country’s different threat perception. While Saudi Arabia regards Shia Islamism as its primary threat, Egypt views Sunni Islamism as it is the main enemy in the region. Unlike Saudi Arabia, Egypt does not have a significant Shia population, and Egyptian security and intelligence agencies have largely been successful at keeping Iranian meddling and influence at a minimum within Egypt. 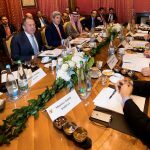 Therefore, Egypt does not feel the same sense of urgency Saudi Arabia and the other Gulf States have about Iran’s growing power and influence. President Sisi is further emboldened by the lack of a significant domestic opposition to his tolerance of Iranian influence in Syria, Iraq, Lebanon and Yemen. On the one hand, Egypt’s non-Islamists elites, including the Egyptian Foreign Ministry, mostly supports normalizing relations with Iran, such as exchanging ambassadors, and so on. Former Egyptian President Hosni Mubarak has resisted the foreign ministry’s push for better ties with Iran and invariably sided with the intelligence services who considers Iran a significant national security threat. Furthermore, Arab nationalistic ideas influence large sectors of the Egyptian intellectuals, who have a favorable view of Iran as an old civilization with an ancient history, compared to Saudi Arabia which they regard as an inferior country. On the other hand, Egypt’s Islamists harbor great disdain for Iran as a Shia state, and they have the ability to mobilize large sectors of the population against the regime. However, President Sisi successfully co-opted or neutralized most of his Islamist opponents. Egypt’s bleak financial situation is another contributor to its convergence of interests with Iran in the region. The Egyptian government successfully negotiated an oil deal with Iraq that partly replenishes the Saudi oil shipments which were stopped in October 2016 following Egypt’s vote on the Russian resolution in the UN Security Council. If Cairo’s rift with Saudi Arabia continues, turning to Iran could be one of Egypt’s top options, especially after the lifting economic sanctions on Iran. Cairo’s desperation for funds could force the Egyptian government to resume Iranian tourism. Former President Mohamed Morsi agreed to allow Iranian tourism in 2013 to increase Egypt’s revenue streams even though he came from a Sunni background that views Iran as a sectarian agent in the region. He, later, reversed his decision after pressure from Salafist groups and intelligence and security agencies. Egypt, however, understands that a complete alignment with Iran means tremendous financial loss. The Gulf countries still have billions of dollars in investment in Egypt and have provided Egypt with more that $30-$50 billion following the 2013 coup. Additionally, Millions of Egyptian expats work in the Gulf countries. The Egyptian economy is heavily depended on their remittance for acquiring dollars necessary to beef up Egyptian hard currency reserves. Thus, Egypt will not tolerate Iranian influence and meddle in the Gulf. Any further Egyptian shift to Iran is likely to be gradual to minimize losses and maximize gains. A U.S. failure to contain the dispute between Egypt and Saudi Arabia, Egypt’s wariness of Sunni Islamism, and Cairo’s financial problems could jeopardize American efforts to contain Iran. Allowing Egypt to tilt further toward Iranian interests in the region is likely to empower Iran and its allies, leading to further destabilization as well as the failure of American efforts. 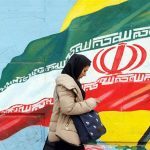 A U.S. strategy that contains Iran and is aggressively intolerant of Sunni Islamism is the way forward for any U.S.-led stabilization efforts to work in the Middle East. ← Previous Story Will the GCC accept Israeli proposed NATO-like alliance against Iran?